Something is in the works for Iran. There are signs out there for those willing to see. This doesn’t mean, by necessity, that Mr Trump is going to have anything to do with it. He may only hop onto the bandwagon after the fact. But something’s in the offing. Here’s why I think what I think. I’d attended the proceedings of a conference, by accident, and one of the speakers was an Iranian Arab by the name of Dr. Karim Abdian, executive director of the Ahwaz Human Rights Organisation. He was adamant that marginalisation and disenfranchisement in Iran across the ethnic regions, and specifically Khuzestan (or Arabistan, as he calls it), would lead to a social explosion on the model of Syria or even Southern Sudan. Dr. Abdian wanted to avert this situation, to his credit, and called on the UN to live up to its responsibilities as regards the fundamental right to self-determination, calling for a multinational federation. Not everybody in the audience was too keen on the notion, and most of the people in the audience were Egyptian. Federations that aren’t built on a geographic basis tend to lend towards secession and with that invitations to foreign parties to come in and ignite proxy wars. Several of the Egyptians in the audience, and sitting on the panel, were men who’d spent through youth in Yemen, trying to patch up a country torn apart by local and regional politics. And what really caught my attention about the talk of secession in Iran – and not just from the Arabs – was that it was reminiscent or a ‘prophecy’ made by the recently appointed (at the time) leader of Jabhat Al-Nusra, Abu Mohammad Al-Joulani, in his famous interview with Ahmed Mansour of Al-Jazeera. 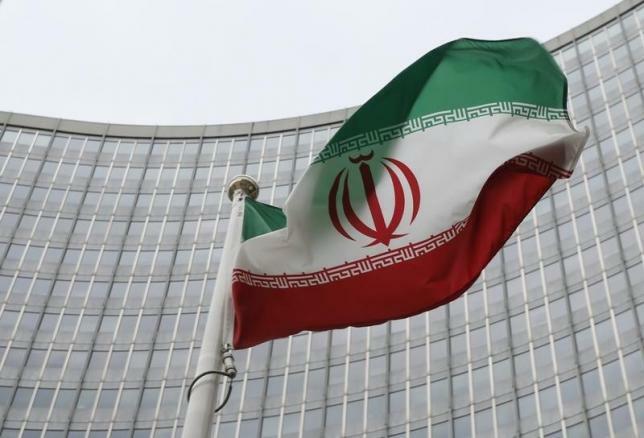 Upon taking office in 2015 the leader of the Syrian rebel group said that Iran was teetering on a powder keg because of its multifarious ethnic and religious groups. Well, nothing has happened since 2015, and one can assume that nothing will happen with the latest set of prophecies in 2017, but that itself is cause for worry. If Jabhat al-Nusra wants Iran to fall apart to stop giving them hell in the Syrian theatre, they aren’t exactly just going to sit around idly by while nothing continues to happen. I was actually quite surprised to discover that Dr. Abdian was an Arab. He ‘looks’ like an Iranian, from a safe distance, with a pre-revolutionary hairstyle that was all too common there. (His hair wasn’t Arabic either. Not curly but the slick variety that needs to be oiled and combed to the back or sides). When he spoke English – explaining that he had to, because his Arabic was a bit too rusty by his own confession – he spoke with a distinctly Iranian accent. I found myself being reminded of the Czech character of Axel in John le Carré’s subjectivist masterpiece, A Perfect Spy (1986), since the man was originally from the German-speaking Sudetenland, and insisted on speaking in High German (to show off his credentials) and escaping to Switzerland, of all places. At the very same time he had a Slav moustache and ate course brown bread and drank Vodka. With the advent of Communism and Axel’s self-recruitment into Czech intelligence, he quietly forgot his Germanic background and stuck with the Slavic aspects, to make his superiors happy. Just goes to show how ‘fungible’ identity is. To his credit, Dr. Abdian revealed a little-known fact, namely, that it was the British that brought the regime of the Shah to power, to use Iran as a bulwark against the spread of Communism, something that could have brought Bolshevik power to the Gulf – I don’t think Dr. Abdian used the terms Arabian or Persian to describe it – and so threaten sea roots to the jewel in the British imperial Crown, India. He also explained that during the Qajar dynasty the British supported ‘regionalism’, until the Bolsheviks took over in Russia. How little has changed, it emerges, since Dr. Abdian went to great lengths to explain that the international community is not interested in the plight of the Arabs and other Sunni minorities in Iran. Why? The example of Afghanistan, the failed-state that it still is. The State Department is worried that if they sponsor an independence movement in Iran, that the subsequent state that emerges will just become another base for Al-Qaeda. That’s quite a reasonably prediction, to be honest, but that in itself is a warning sign. Small groups could go for broke if they feel that the international community won’t do the job for them. We saw that the first time there was a chemical attack in Syria. President Obama wasn’t able to drag his country into a war or any kind of limited action in response but look what happened the second time round with President Trump. He’s not nearly as cordial and is simply waiting for the Iranians to trip up so he can tear the nuclear deal to shreds, something he has steadfastly failed to do so far. According to James Dorsey, there’s an arms race in the offing in the Middle East as both the US and China try to cash in on the situation left in the wake of the nuclear deal. There’s no reason why such an arms race can’t extend within the borders of states, under the right circumstances. There’s got to be a way out of this conflagration. Returning to Dr. Abdian, he was adamant that non-Persians were discriminated against in Iran but admitted, along the way, that Iran is the most diverse country in the Middle East. In that case, they must be doing something right, or else the country would have fallen apart a long, long time ago. Why not build on what’s been achieved, instead of starting from scratch? Or ground zero, a more appropriate aphorism for what may lay just around the corner. As I’ve argued elsewhere, citing the Iranian movie Son of Maryam (1998), art is one way to navigate the tricky terrain of identity politics. Self-confident peoples have no problem mingling with other religious groups, in their holy places and homes, and put all this on screen for the world to see. And people in the provinces everywhere are marginalised, just because they aren’t city folk. In Lebanon, even Christian villages in the mountains have to wait for 22 years for legislation to be passed to build a road to connect them to Beirut. And even after the law is in fact passed, nothing happens. The sufferings of the countryside were a central theme in Son of Maryam, highlighting the fact that class is often a bigger fissure to surmount than religion and ethnicity. Divisions of rich and poor also cut across democratic lines, as evidenced by Lebanon, and the West is surely not going to help us out of that one. Or else they wouldn’t have elected a Trump on a ‘populist’ platform. Now there’s an example of fiction if there ever was one! This was during the second day of the “Managing Middle East Diversity: The Modalities” conference, held at the American university in Cairo, Tahrir campus, April 23-24, 2017. Emad El-Din Aysha, “Withdrawing into the arts: a local, two-pronged strategy for fighting ISIS”, Daily News Egypt, April 19, 2017.